If you like the simplicity of flat rewards rates for every dollar you spend, with no restrictions attached, Bank of America® Travel Rewards credit card is a great card to consider. Think of it this way: Each time you swipe your card your money is going toward your next trip. This Bank of America® Travel Rewards credit card offers cardholders 25,000 bonus points after spending $1,000 on purchase within the first 90 days of account opening. Since 100 points equal $1 in travel credit, that's equal to a $250 bonus in statement credit for travel, which is a pretty attractive welcome offer for a no-annual-fee card. Flexibility to redeem your points for a statement credit, to pay for flights, hotels, vacation packages, cruises, rental cars or baggage fees! Unlike some travel cards, points aren’t the only reward this card offers. Points can be redeemed for statement credits to help cover most travel expenses such as, hotel accommodations, vacation packages, auto rentals, baggage fees, and more. The Bank of America® Travel Rewards credit card offers additional, innovative ways to earn rewards, too. If you’re a Bank of America banking customer you can get an additional 10% customer bonus just by having a qualifying BofA checking or savings account. If you’re a Preferred Rewards client those rewards rates increase further – 25%-75% depending on the type of account you have. Bank of America® Travel Rewards credit card cardholders also have access to many of perks traditional Bank of America customers receive: Shop safe®, overdraft protection, access to Bank of America financial centers and ATMS to name a few. You'll be pleased to know that Bank of America has been regularly recognized for its fraud protection, detection and resolution. With that in mind, the Bank of America® Travel Rewards credit card has all the bells and whistles you’d expect to find in a travel card. The rewards rates are competitive, and redeeming points for travel is a breeze. There are no blackout dates or restrictions when it comes to using your card for travel, which adds an extra layer of accessibility. Points can be redeemed for statement credits which can then be applied for travel purchases which means you’re free to make any travel purchase you want. As you’d hope, the Bank of America® Travel Rewards credit card does not charge foreign transaction fees. If your travels take you abroad often finding a credit card that eliminates foreign transaction fee, which average around 3% is necessary – those inconspicuous charges can add up quickly. The ability to earn additional rewards as a Bank of America customer is an intelligent way for issuers to look at how cardholders can redeem points. Because cardholders can add their rewards points into an eligible savings account, technically rewards points can earn interest. The entire concept promotes strategic credit card use, which is always a win in our book. This card is great for low to average credit card spending but, if you’re a big spender, you might consider shopping around. The rewards rate on the Bank of America® Travel Rewards credit card is only average compared to other cards on the market. The into rewards offer, which equals $250 in statement credit for travel purchases, is easy to obtain, but is a lackluster incentive compared to other cards in this category. While the intro offer isn’t the best way to pick a card, sometimes it can mean choosing one card over another comparable card. The Barclaycard Arrival Plus® World Elite Mastercard® charges an $89 (waived first year) annual fee, so credit card users who spend lightly or moderately may not be able to offset the annual cost of this card with rewards points (See Rates and Fees). However, if you are a big spender, the Barclaycard Arrival Plus® World Elite Mastercard® may be one to consider. The rewards rate is .5x higher than the Bank of America card, and the intro offer is $450 greater (70,000 miles after spending $5,000 on purchases in the first 90 days). Capital One® Venture® Rewards Credit Card awards cardholders with two times miles for every purchase (and 10 times the miles for every $1 spent when you use your card to pay for a booking via Hotels.com/Venture), and the intro offer is worth $250 more than with the Bank of America® Travel Rewards credit card. But the Capital One® Venture® Rewards Credit Card is definitely geared toward cardholders who use their card often. There is a $95 annual fee attached to the Capital One® Venture® Rewards Credit Card (after the intro $0 annual fee for the first year). So if you’re a casual credit card user, the Bank of America® Travel Rewards credit card may be a more logical pick. Chase cardholders can earn 2x points on travel and dining at restaurants and 1 point per $1 spent on all other purchases worldwide. Chase’s rewards program is more complex, and in turn, more lucrative. 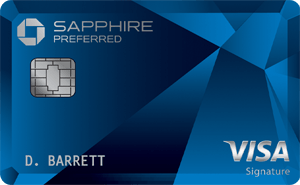 The welcome bonus for Chase Sapphire Preferred® Card allows new cardholders to earn 60,000 bonus points, a $750 value when redeemed for travel through Chase Ultimate Rewards®. Unless you’re Preferred Rewards status with the Bank of America card, it would be difficult to earn the same rewards rate as a Chase Sapphire Preferred® Card cardholder. If you’re not a heavy credit card user, and incurring an annual fee doesn’t make sense, the Bank of America® Travel Rewards credit card is a great “light version” of a travel rewards card. The rewards are straightforward, and easy to redeem. 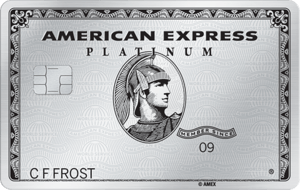 If you are a Bank of America customer, this card is especially beneficial because your rewards points are accelerated. Enhanced rewards for Bank of America customers, including up to a 75 percent bonus on your rewards (details in review). A simple rewards earning structure means rewards can accumulate quickly without requiring a lot of planning on your part. The rewards and intro offer are decent for low to average credit card spenders, but if you're a heavy credit card user, you can likely find another travel rewards card with more substantial rewards.